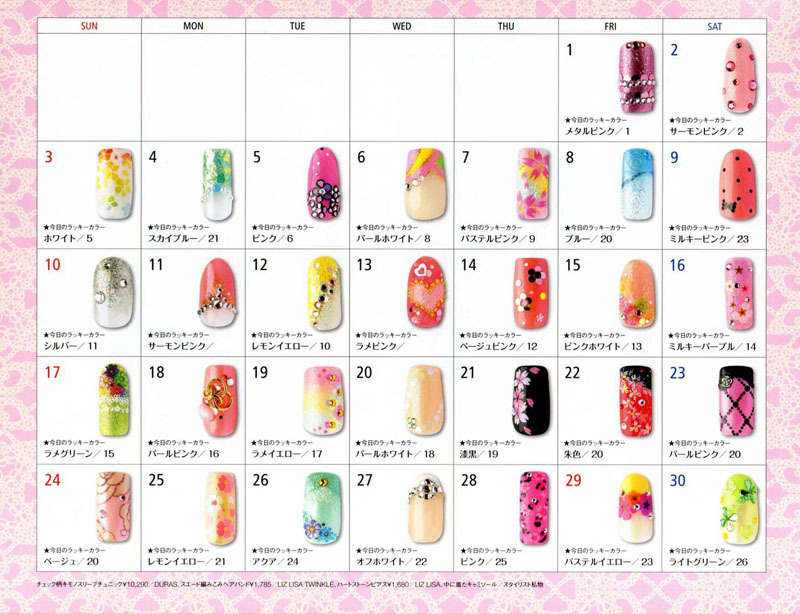 Today I have the nail calendar for April. 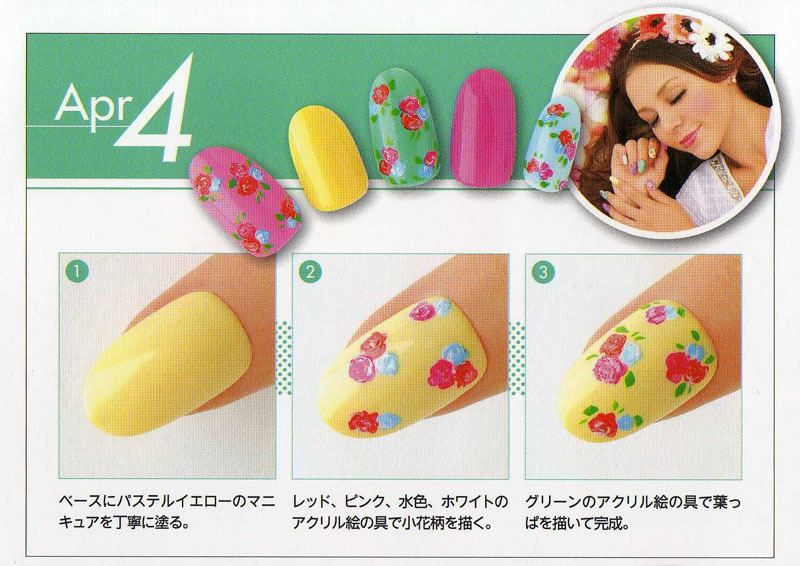 And the nail tutorial of the month which is a design that I adore and always wanted to try. I guess April is the perfect month for it. It's none other than a pastel flower manicure. 1. Paint your nails in a yellow colour as a base. 2. Using red, pink, light blue and white acrylic paints draw the flowers. 3. Using green acrylic colour draw the leaves. What do you think of this month's calendar? Apart from the tutorial look my favourite is the design from the 23rd. I need to try these two manis for sure. The tutorial design is really cute! Yeah..30 new designs! You're really keeping me busy =] Thank you so much for sharing!!! Im loving this calender, perfect inspiration for nail art!! Τέλεια σχέδια και το κίτρινο αγαπημένο χρώμα!! Ότι πρέπει για την Άνοιξη!!! M'αρεσαν σχεδον ολα τα σχεδια αλλα ειδικοτερα το 9,14,21 ειναι φοβερα! A lot of fun designs on this one. I'm really liking the 29th--that might be a way for me to wear the yellows that don't get along with my skintone (now I just need to figure out how to make the fancy flowers with my limited nail art skills). Oh, I have to try out no 10!!! I just need a decent silver...! Any recommendations r welcome!!! 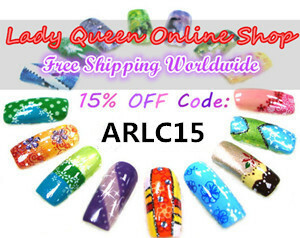 I would love to try the nail design from the 29th!